Weclome to Gray's Angus Ranch! Nestled in the hard grass country of Western Nebraska is the Gray’s Angus Ranch. The Gray family has roots in the Angus business that stem back to 1898. 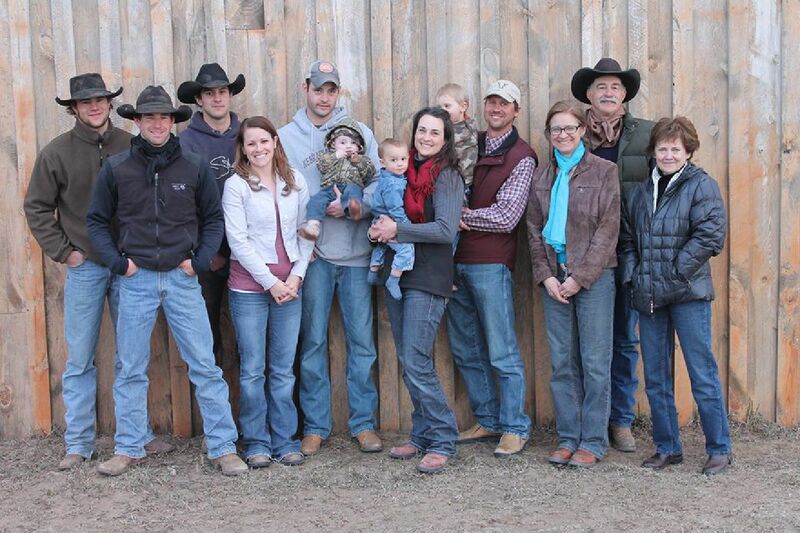 Rodney Gray is the 5th generation of his family to raise Angus, and it is a tradition that has been passed down to his children and grandchildren. The Gray’s run 800 head of Registered Angus south west of Harrison NE. Most of the current cow herd traces back to the cow families that Rod’s grandfather ran in the 1920’s. For the past 40 years, the Gray family has been using artificial insemination using genetics that offer sound, well balanced traits. Performance and the ability to thrive are of utmost importance in maintaining our cow herd. The Gray family sells approximately 150 yearling bulls and 50 2 year old bulls each spring through their bull sale. They also market females annually by private treaty and sell bulls private treaty. Contact us for more information about buying private treaty. We collect carcass ultrasound data as a means to produce desirable traits in our cattle that benefit our customers who retain ownership or sell feeder calves. The functional female is what we have based our cowherd selection on for six generations. We avoid extremes and popular trends, striving to produce a complete package for our customers, keeping their profitability in the beef business a top priority. 5th Place - Beller Corp./Pelster Angus steers. Winner - CAB Nebraska Premium Challenge - Pelster Angus a long time Gray's Angus customer. 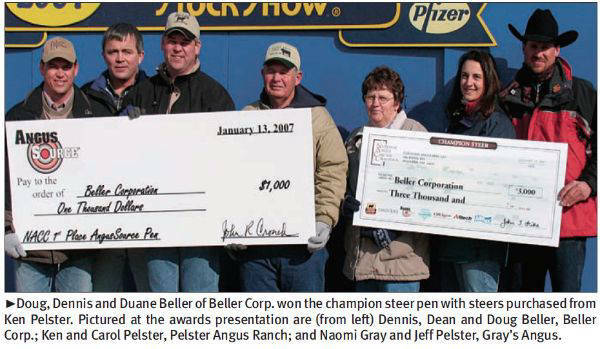 NACC Champion Heifers - Beller Feedlot/Jim and Maureen Skavdahl customers of Gray's Angus & also 4th Place steer pen.